My dog is my whole soul,” said Ignacio while carrying in his arms to his beloved pet. Mr. Ignacio expresses that his heart was filled with emotion when he found his faithful companion alive, who also seems excited to see his owner again. 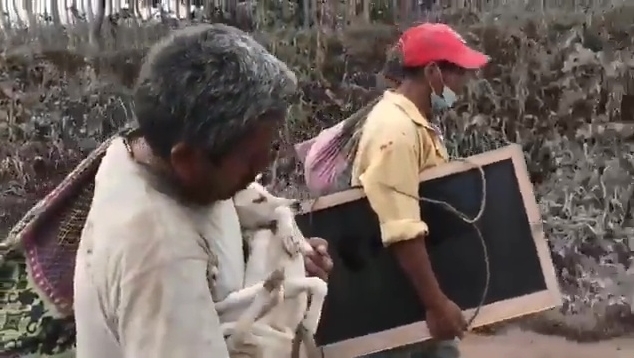 In the middle of the tragedy that today lives in Guatemala, the stories that comfort our soul appear, in the case of Ignacio López Benítez who returned in what was his home to recover some belongings but above all, rescue his little dog Brava. 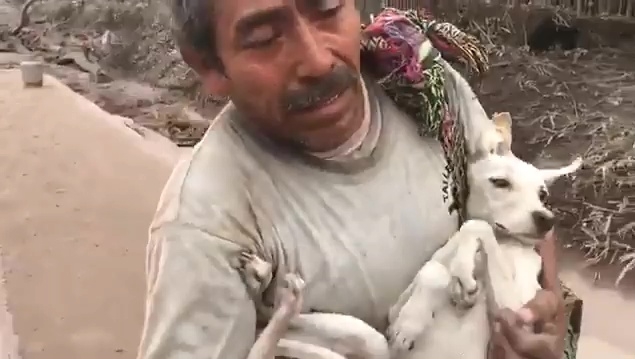 “I lost everything, my family is alive thanks to God, they are burned but alive, I rescue some clothing, and the rest God will take care of that, and my dog who is my whole soul,” said Ignacio while carrying in his arms to his beloved pet. Mr. Ignacio expresses that his heart was filled with emotion when he found his faithful companion alive, who also seems excited to see his owner again. As if it were a newborn baby, the pet is covered in dust when it is moving along a path covered in volcanic ash. After the volcano's biggest eruption in four decades, help is arriving to the areas cut off by the lava flows, but in the village of San Miguel Los Lotes -- now buried under as much as 10 feet of ash -- the chances of finding anyone alive are slowly disappearing. With the threat of more eruptions, evacuation orders have quadrupled in number to include more than 12,000 people. In the coming days, more aid from the United States is expected to arrive. Responses to "He Returned To Rescue His Dog From The Volcano In Guatemala"